At Wake, we love making our guests happy! From the moment they enter the sanctuary, our goal is the make sure they leave blissed out. So, how can you be sure to carry that blissful feeling with you all the time? (Without visiting Wake every day!) Cultivating true, lasting happiness comes from within. We are all made of happiness and it is just waiting to be expressed. Live with gratitude. Make a list of things you are grateful for and read it every day. Focus on how these things make you feel. Good feelings will attract more happy circumstances into your life! Follow your bliss. Figure out what your passions are and take action toward them! We spend so much time on “to-do” lists that we forget “to-do” what makes us happy. Your passions are there for a reason so go out and discover all the joy they can bring you. Stay in the moment. Being completely present in all that you do allows you the opportunity to enjoy the moment instead of worrying about the future or regretting the past. Unplug. Don’t forget to put away technology on occasion. Social media can lead to the comparison trap which can make one feel inadequate or unsuccessful. Instead, take the day to focus on doing what makes you happy. Eat clean. Being mindful of what we put into our bodies is super important in keeping a happy state of mind. Foods with processed ingredients can greatly affect how we feel. Choose foods that are the least processed and with only a few ingredients. Soak up some vitamin D. Spending time in the sunshine and nature is a great way to get some much-needed vitamin D. Vitamin D has been shown to fight depression and improve mood. Don’t forget self-care! Practicing self-care on a consistent basis is essential in keeping your happiness tank full. 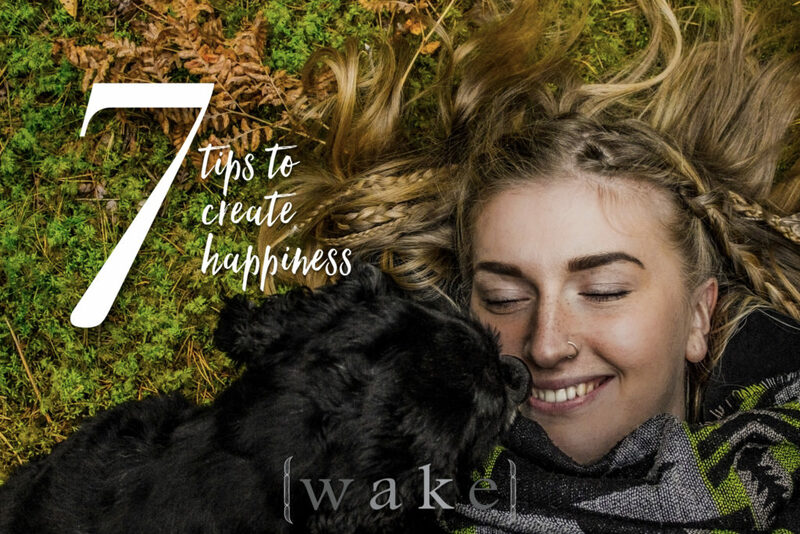 So when you aren’t at Wake receiving the royal treatment, create your own self-care routine that will leave you feeling soothed and rejuvenated! Feeling prepared to take some steps toward happiness? Let us know how it goes and stop by for a foot soak so we can pamper you, too! Portrait of a Foot Soaker: Veena Rhodes, MD.